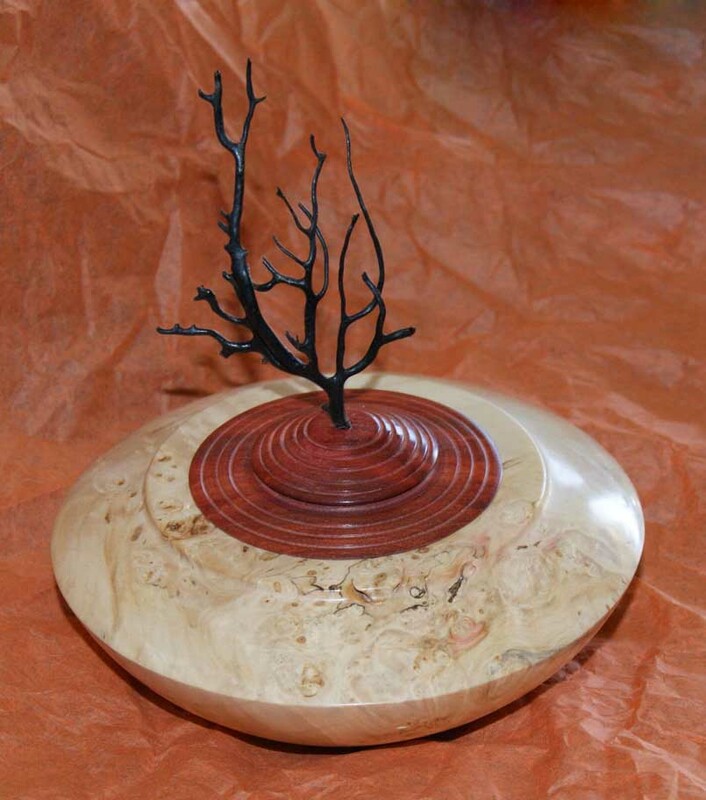 This is a hollowed box elder burl with a blood wood collar and Black fan coral finial. I actually won first place with this piece at the Prairie carving Show here in Winnipeg a couple of years ago. Although she is hollowed out and sanded inside, the collar was glued down to prevent damage to it wilst at the show. The finish on her is strictly waxed and buffed to a glossy finish.